The Glycolic acid peel, Jessner’s peel, Trichloracetic acid peel are procedures used to revitalize skin that appears dull or non-vibrant. Peels, also called Chemical Peels, have become a sought after cosmetic treatment due to their ability to smooth the texture of the facial skin. 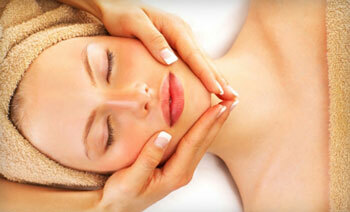 This chemical treatment exfoliates the dead skin on the face, revealing regenerated, smoother and less wrinkled skin. There are numerous types of peels, ranging from mild to extra strong formulas. The formula or peel strength is chosen depending on the degree of texture change desired. The benefits of getting a chemical peel at Laurea include the effectiveness of the peel as well as a short recovery time after getting a peel procedure. If smoother and less wrinkled skin is what you desire, a chemical peel may be exactly what you should get. Glycolic acid is one of the group of naturally occurring acids Alpha Hydroxy or fruit acids. They are derived from certain plants and fruits. Glycolic acid dissolves the “glue” that holds dead cells to the surface of the skin. It is a layer of dead cells which gives the complexion a rough, dull appearance with uneven pigmentation. This layer also clogs pores, giving an appearance of coarseness, open pores and a tendency to acne. When dead cells are removed, the underlying layer of fresh new cells is exposed. This layer has a smoother texture and a more even colour. Regular use of glycolic acid products also appear to stimulate new cells growth so that the top layer of living cells actually becomes plumper, creating a tightening of the skin and reduction in fine wrinkles and scars. At higher concentration glycolic acid encourages the skin to manufacture more of its own collagen and elastin leading to a diminution of fine wrinkling. High concentration of glycolic acid peel is applied to your skin for a brief period of time and then washed off. The treatment causes a slight tingling, but no pain. These clinic treatment should be repeated at regular intervals until the desired improvement has been achieved. Jessner’s Peel or Coombe’s formula uses a combination of salicylic acid, lactic acid and resorcinol. Retinoic Acid peels are applied by a dermatologist to remove scars, deep wrinkles and uneven pigmentation. This peel may require mild anesthesia as it is stronger and may cause a burning sensation on the skin. Trichoroacetic Acid peels are intermediate to deep treatments. These peels are used to smooth out wrinkles, remove blemishes and adjust pigmentation. This peel may require pretreatment with an alpha hydroxyl peel. It may also require more than one treatment for desired results. It takes several weeks to heal and it is necessary to use sunblock after treatment.